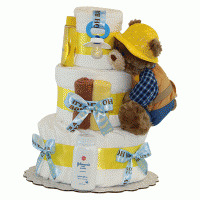 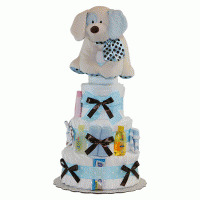 Here's a really "delicious" looking baby shower favor or party give-away that all your guests will love and use! 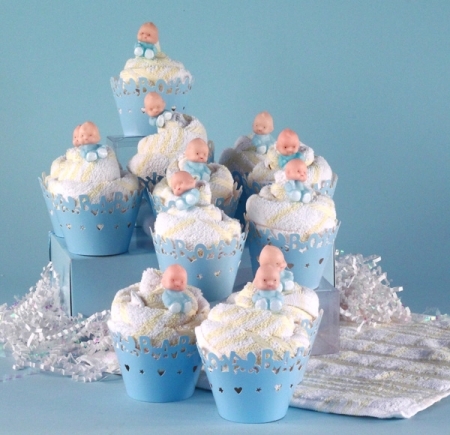 It's our Baby Shower Cupcakes, made from actual kitchen towels. 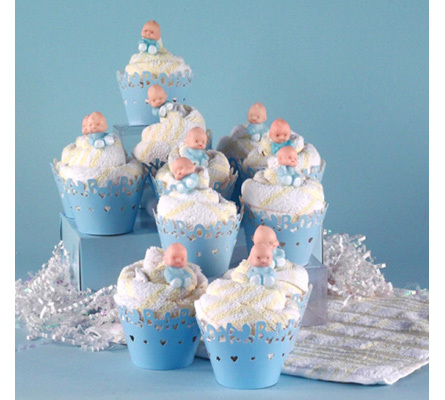 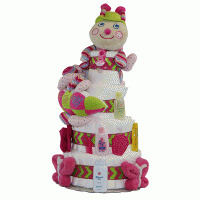 Each of these adorable cupcakes start with a cleverly folded kitchen towel made from a quality terry fabric, then attractively wrapped in a baby inscribed cupcake holder, and topped off with a precious baby ornament. 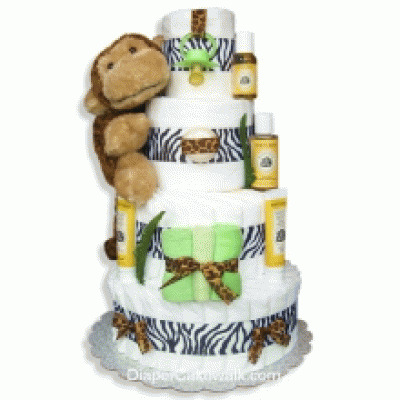 Now what can be more appetizing than that!